This gown is being sold as is. 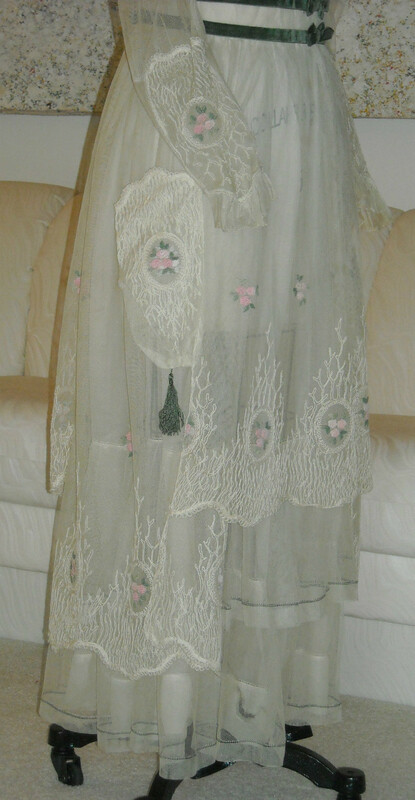 This is an exceptional example of a late Edwardian dress, 1916 - 1918, in an ivory sheer and net material. 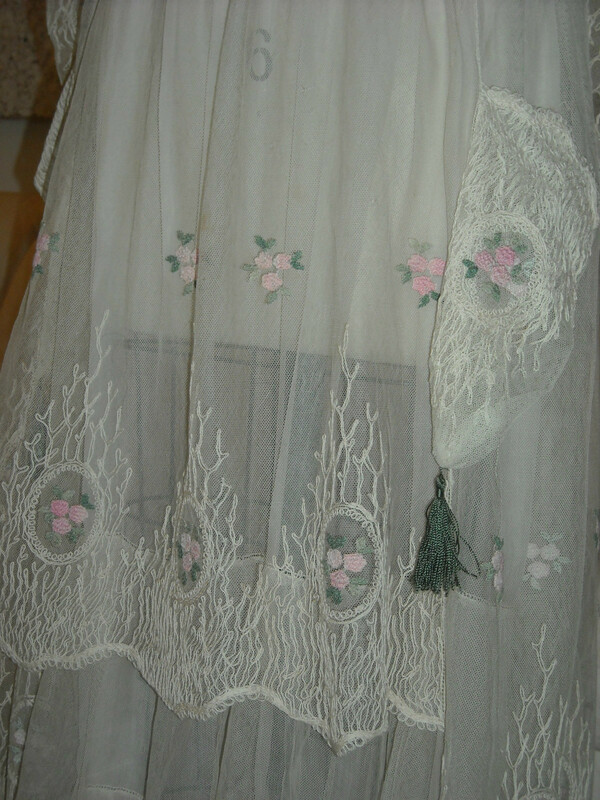 The top has a scalloped collar and is decorated with embroidered pink flowers. There are two green velvet bands with bows around the waist and long net sleeves with embroidered cuffs. The skirt has an apron look to it with a net top layer embroidered with the pink flowers and two unusual pockets with green tassels. Under the net layer is a tissue thin material with two net ruffles attached to it. It fastens with snaps and hooks and loops. The dress needs a few repairs - the tissue thin material needs to be reinforced on the skirt, one net ruffle has almost completely separated from it on the seam and I had it pinned for the photos - the last photo shows this. 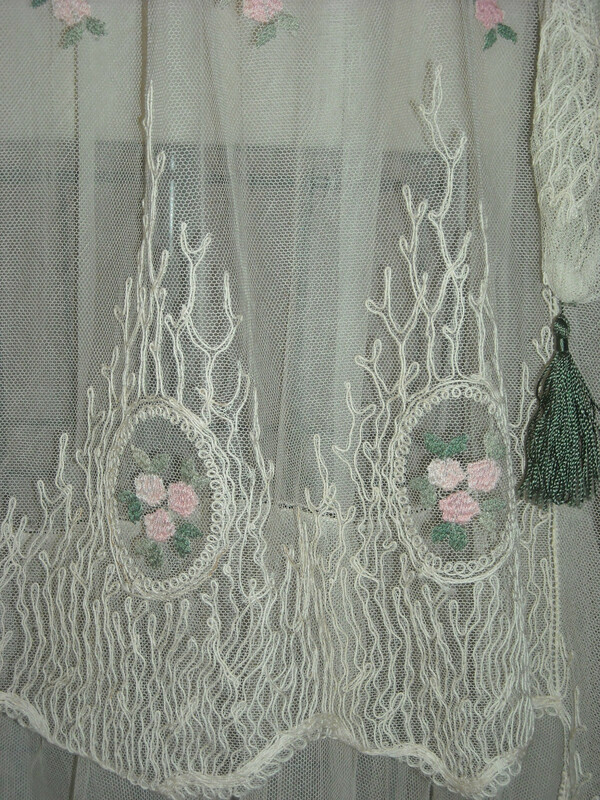 There is also a period mend in the net ruffle on the bottom. The thin material lining the top is torn in several places (photo) as is the very bottom hem all around (under the bottom net ruffle - photo). There are also holes in the thin material in several places. There are some stains and a few tiny holes in the netting (photos). Also the collar on the back by one of the hook and loops needs a little restitching. 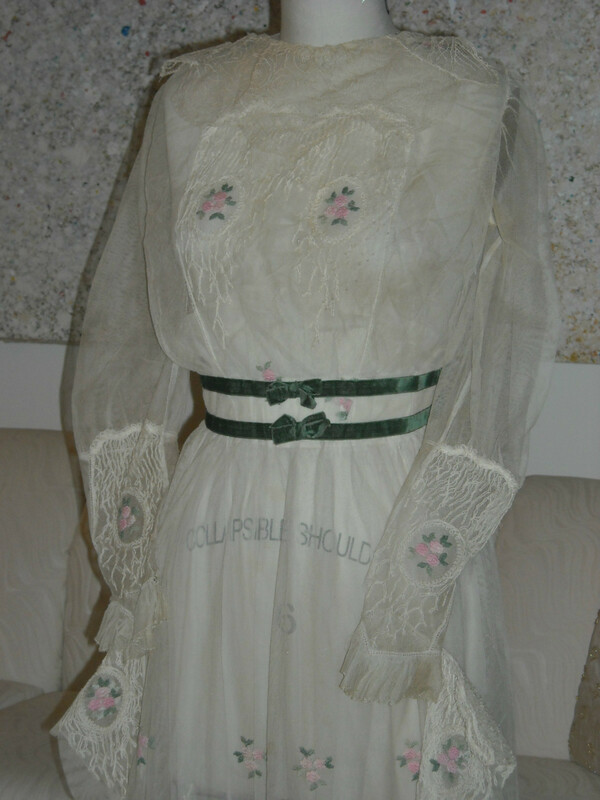 This dress would be beautiful with a little restoration.